One of the less thrilling aspects of parenthood is the amount of stuff you have to take with you on the move. Blankets, changing bags, toys, play mats and more… a lot of the time, leaving the house feels nearly impossible. So any solution that can combine several functions, while being colourful, fun and easily portable is a clear winner. 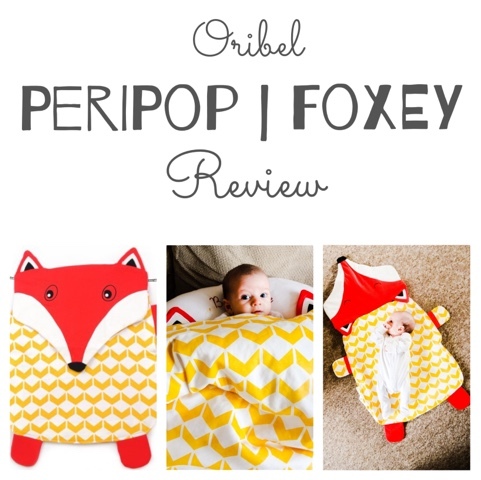 The Foxey is a genius blanket/playmat/cushion/toy storage/cuddly friend invention from Peripop. 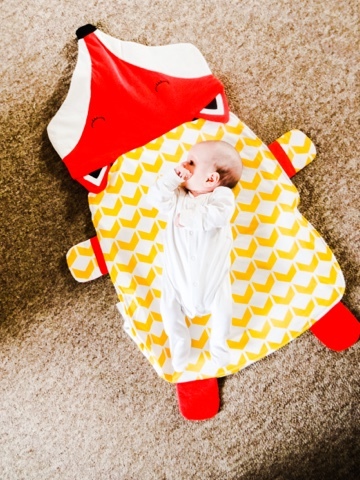 Bright, vibrant and cute, the Foxey certainly had Theo at hello. It caught his eye immediately and has been his constant companion ever since arriving. It's really lovely quality with plush quilting and a reversible aspect featuring a yellow and white chevron fabric on the underside and ‘asleep’ and ‘awake’ character faces. The bottom features an extra wide zipper so the Foxey can be opened up easily (we'll get to the how and the why of that in a minute. The idea behind the Peripop family of characters is one of possibilities - limited only by your little one’s imagination. This cuddly companion is a little one’s dream and a mum's delight, because of all the ways it can be used. Fold it flat either way, and it becomes a great playmat. The material is soft and vented with a little bit of quilting, so it's great for babies to lie on and explore their surroundings. If you want to make it a bit more cushioned, you can open it up using the wide zips at the bottom and insert a folded blanket, towel or padded changing mat to give it more thickness, but the double layering means its also fine as it is. The head extends outwards to give even more play space. This makes it the ideal thing to travel with, as it's very light and portable but can be adjusted easily. 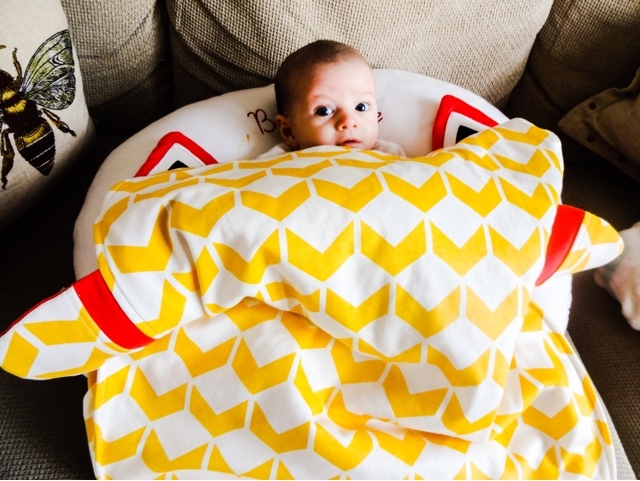 The Peripop Foxey also makes a brilliant blanket, so it's ideal for nap times, even while away from home. The cosy material and the friendly character were really soothing to Theo. As an added little feature, baby’s hands can be inserted into Foxey’s paws to keep them warm and cosy. Older children can also climb inside like a sleeping bag. 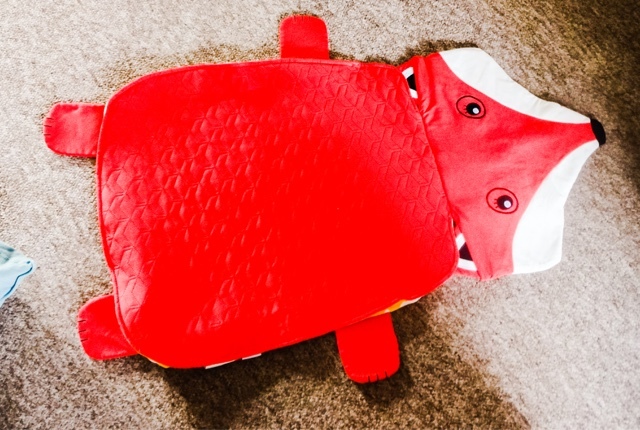 It combines the functions of a cushion with a cute little costume, so it's a lot of fun and very Instagrammable! It can also be used in the pram as the head wraps snugly round the bars to stop it slipping off. Because of those wide zip openings, you can stuff whatever you like inside, so you can make the Peripop into a raised playmat, stool, backrest or cushion by popping different soft padding objects in. Equally, it's great for storing soft toys and even baby’s clothes on a trip away or a day out. This is especially useful when you're going on holiday, where it's a neat solution to containing clutter while also acting as all of the above. So, what's Theo’s verdict on the Peripop? 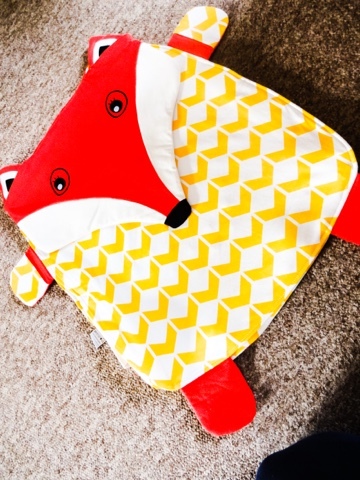 He loves his colourful, snuggly new companion, and I love the functionality, the portability and the fact that when the inevitable spills happen, Foxey can be easily slipped into the washing machine! It's also available in a Panda, Bear and Tiger design.